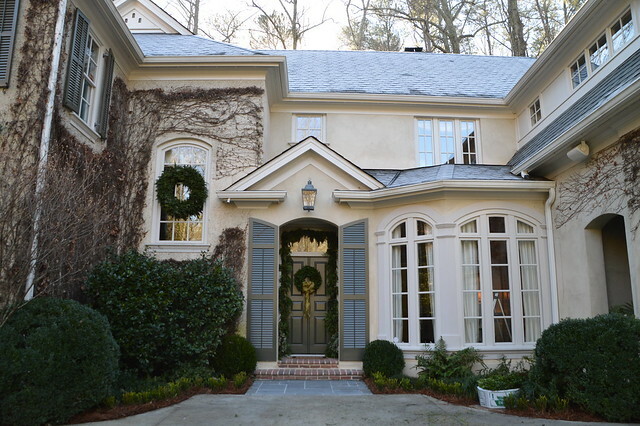 The Peachtree Garden Club Christmas Home Tour is Thursday, December 12 from 10 am - 3 pm, and the homes on this year’s tour are simply spectacular. 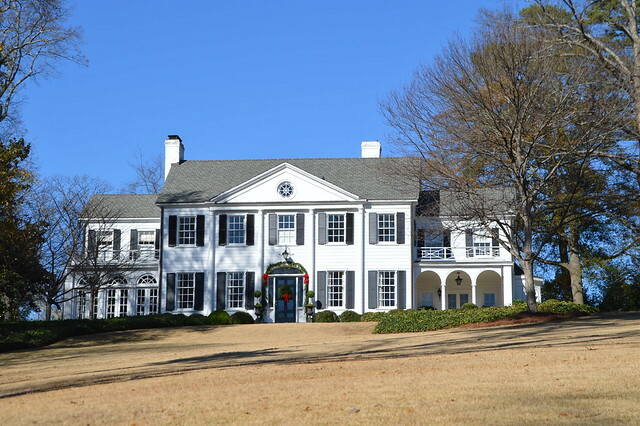 There are four beautiful houses on the tour, including a masterpiece designed in 1921 by Neel Reid; a 12,000 square foot stately brick home filled with antiques; a home that was the 2000 Atlanta Symphony Showhouse; and a Spitzmiller & Norris designed house that was recently decorated by Suzanne Kasler. Here is a glimpse at the exteriors of these houses. I took them while the homeowners were still setting up, but it certainly gives a perspective on the beauty and individuality of each of these homes. I am looking forward to seeing the interiors tomorrow on the tour! The descriptions are adapted from the wonderful Peachtree Garden Club website, where tickets can be purchased for the tour for $25. Tickets can also be purchased at the homes on the day of the tour for $30. 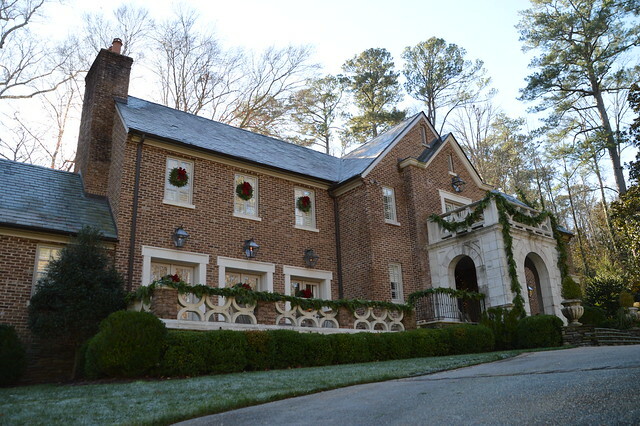 Considered to be one of the most beautiful houses in Atlanta, this lovely house was designed by Neel Reid in 1921 and sits regally atop a lush lawn overlooking Cherokee Road. Architect Neel Reid was known for siting his residences at the highest point of a property so as to maximize views -- this magnificent panoramic vista does not disappoint! 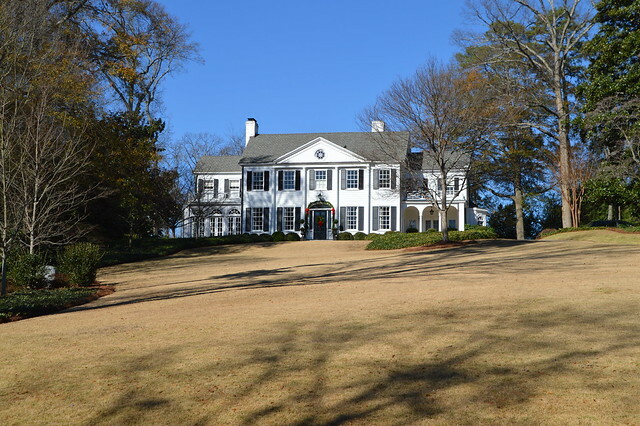 As a young architect for the firm of Hentz, Reid & Adler, Reid designed many homes in his short career here in the Peachtree Heights Park neighborhood where the sweeping lawns and towering trees provided the perfect backdrop for his architectural masterpieces. Built in 1921 for Mr. Henry Newman (Hentz, Reid & Adler Job #469) this home was the first of three Neel Reid homes constructed in the early 1920s on Cherokee Road. Nestled in a beautiful wooded lot and cornering Habersham Road, this magnificent 12,000 square foot brick and stone Cherokee Road residence houses a treasure trove of the finest French 18th and 19th century period pieces. One would never know from the carefully curated collection of European antiques that the homeowners have lived in the home for less than a year. The homeowners have personally collected all of the antiques in their home, and they clearly have a flair for combining these pieces with rich fabrics and a deep color scheme that enhances the home’s luxurious décor. Visitors will be treated to all three levels of the home’s interior including the men’s game room and family sitting area on the lower level. Guests will notice the homeowners’ keen eye for architectural carvings. 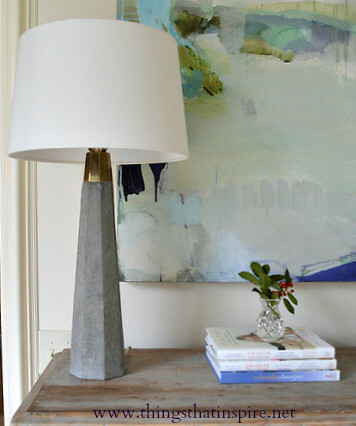 They look for the smallest details in each and every piece, and their passion for collecting draws them from local auctions in Atlanta and Nashville, to the Flea Markets of London and Paris. Located on nearly two acres of woodlands this 10,500-square-foot house, dubbed 'The Woodlands' for its park-like surroundings, has 6 bedrooms 7 baths and overlooks Tuxedo Road. Original renovations took six months and added 2,500 square feet to the home including a media room above the conservatory, an enlarged kitchen and a keeping room, as well as a master bedroom suite. 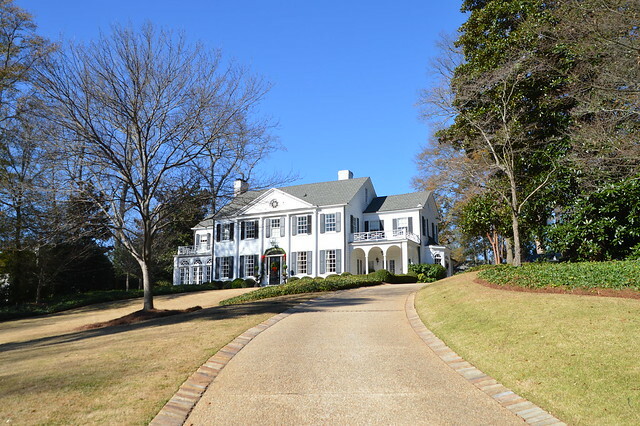 This stately residence was featured as the Atlanta Symphony Decorators Show House in 2000. 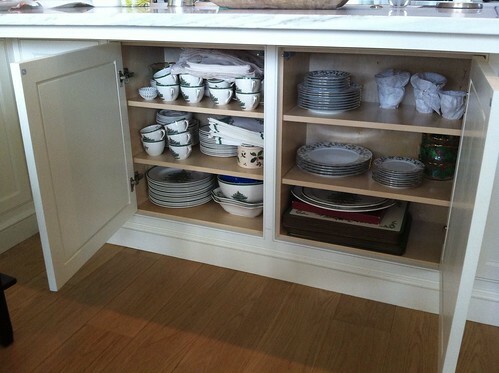 When current homeowners purchased the property two years ago, they made modest updates to the interior, eliminating much of the existing dark wood and heavy moldings throughout. Bright and crisp elegant rooms reflect the active lifestyle of the homeowners and their two young daughters, and adult sons who visit often. The couple has inherited beautiful antiques, which they have seamlessly incorporated with a more contemporary color palette reflective of their youthful lifestyle. The neutral paint palette throughout the house is spiced with hits of color, creating warm spaces that are elegant yet inviting. 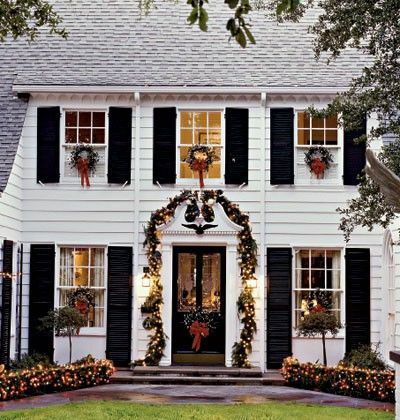 The home blends old-fashioned southern elegance with joyful modern comfort, creating cheerful and inviting spaces. 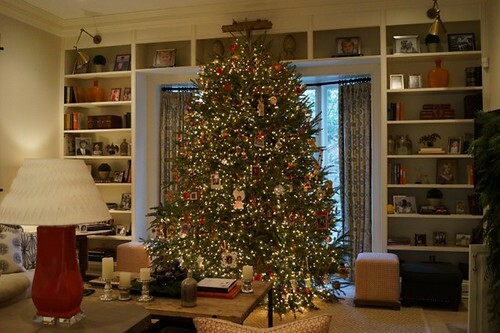 Guests will marvel at the Christmas ambiance in this attractive and livable home. The homeowners downsized to this charming residence, moving only two doors down from where they raised twin daughters. The solid architectural bones of the house provided the perfect canvas to create their new “empty-nest” lifestyle with its charming exteriors, open floor plan, and high ceilings. Working closely with the original 1996 architectural Firm of Spitzmiller & Norris, the homeowners stripped many existing features to update the interior and enlarge the kitchen while remaining within the original footprint. The beautifully detailed moldings and stylish custom millwork were carefully designed by interior designer Suzanne Kasler in conjunction with Spitzmiller & Norris. 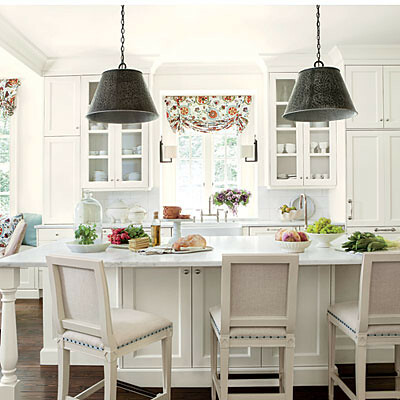 Tour guests will be awed by the new white kitchen, designed by Suzanne Kasler, which was recently featured in the September 2013 issue of Southern Living. This gorgeous enlarged and updated kitchen blends marble counter tops, custom cabinetry, Waterworks tile and fixtures, and the finest appliances. Suzanne Kasler’s signature style is seen in the soothing color palette of whites, blues and creams thematically unites each room in the home, creating a sophisticated and restful atmosphere. Kitchen photo credit: Erica George Dines. 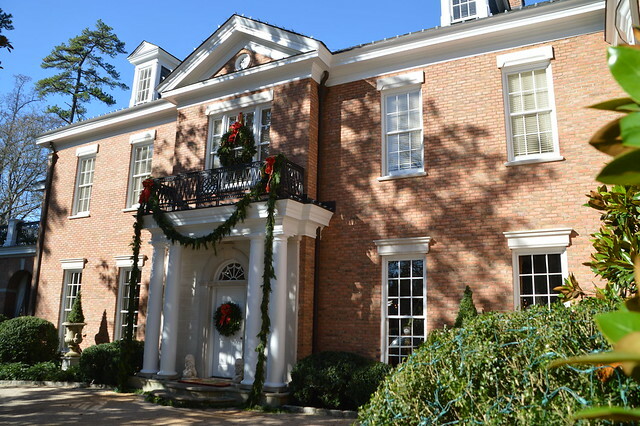 The weather on Thursday is supposed to be glorious, so please come support the Peachtree Garden Club’s Holiday Tour of Homes! Tour proceeds benefit the Peachtree Garden Club Community Fund, which supports charitable, scientific and educational needs in the fields of horticulture and conservation through donations of funds to organizations in the Atlanta area. As a special note, part of the proceeds from the Tour will go directly to support the Club’s legacy project, the Neel Reid Scholarship Fund at the University of Georgia’s College of Environment & Design. Peachtree members established the Fund in 1947 as a way to honor this renowned architect and ensure that his legacy could be passed on to students for generations to come. It is fitting that one of Neel Reid’s masterpiece houses is on the tour this year! Needless to say, I will take any of these four homes, but the second is my favorite! Wish I was nearby to visit these beauties. Sounds like a wonderful tour full of both Holiday and architectural inspiration!!! Wish I could play hooky and fly down! I have always admired the Neil Reid house. I am going to rearrange my day so I can attend! Thanks for the heads up! How fun! 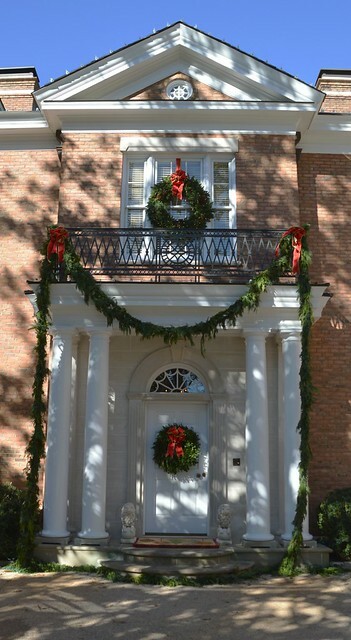 I went on Greenwich holiday house tour yesterday and had such fun...I so enjoy seeing how others like to jazz up their homes for the holidays. These look wonderful. Enjoy! Gorgeous! 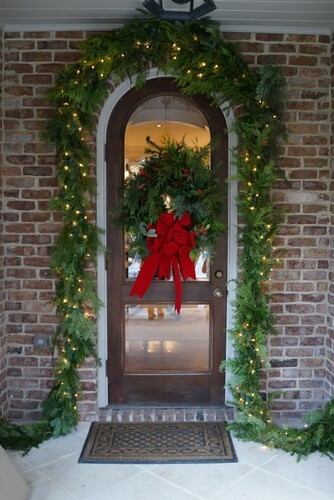 The first home is my dream home! Would love to see what these homes look like inside. Thanks for sharing!! These homes are absolutely GORGEOUS!! You are making me want to move to Atlanta!! :) Such architectural gems.